More than 12″ of adjustability. 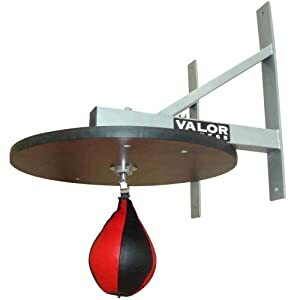 Designed with the same quality philosophy as Balazs Boxing’s professional products, the i-Box Speed Bag Platform sports a super stiff V-frame bracket made from 11 gauge steel tubing and 1-1/4″ thick manufactured wood drum for a high performance workout. The solid rebounding action will elevate your proficiency and accelerate your learning curve. The i-Box SBP is perfect for the budget-minded consumer looking for a high quality speed bag platform for their home gym. The i-Box SBP is available in 3 colors: Champion Black, Knockout Red and Contender Yellow. The sheer beauty of this product will get your heart rate up before you even start your workout and its high performance will keep you focused. The i-Box SBP adjusts more than 12″ vertically to accommodate everyone in the family. The ergonomic knobs lock tight against the rails for a secure hold. 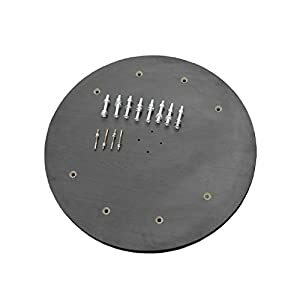 The clear coated 1-1/4″ thick manufactured wood drum is 24″ in diameter allowing any size speed bag to be used. 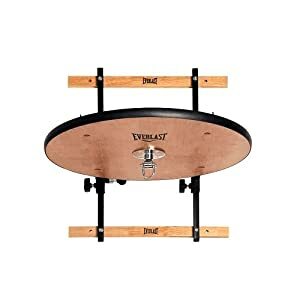 The platform includes a quiet and easy to use Everlast® swivel. The i-Box SBP is powdercoated with a durable, glossy finish to complement the natural beauty of the surface finished wood drum.